This morning I got up and went out for the usual Rosemont route. I biked by this pile, saw a couple of record players and stopped to take a look. They looked decent (one was missing a needle) but someone had cut off the copper wires to sell for scrap. Too bad, I wouldn’t have been at all surprised if they were functional. I might have taken them regardless if I had by bike trailer with me as fixing the cord is an easy job but alas. 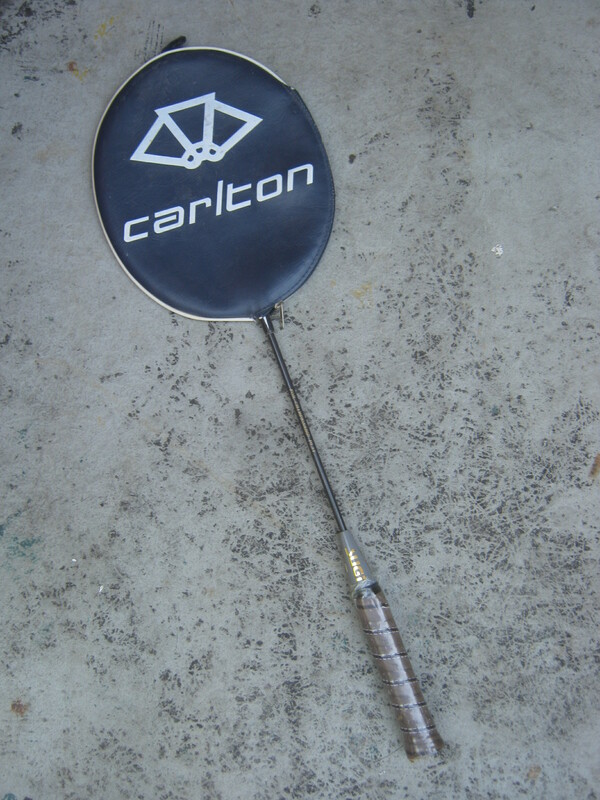 This badminton was hidden away in one of the bags. It looks to be in fine shape, just dusty. It might even be new as the plastic wrap is still on the handle. I also took a bag full of sports team themed bottle-caps and a bag of some other sports memorabilia (rubber doilies, perhaps?) but they disappeared somewhere along the way. I imagine they jumped out of my bike’s milk crate when I hit one of Montreal’s many potholes. So it goes, I hope someone else finds them! 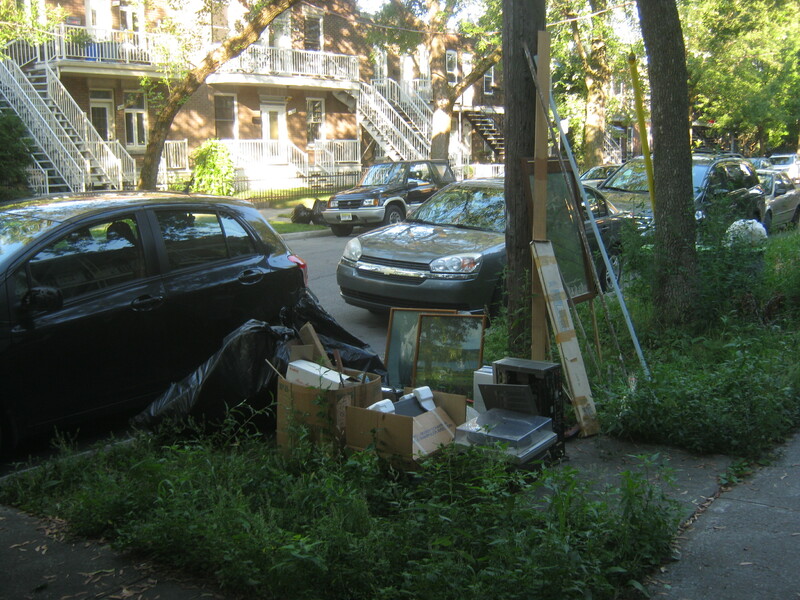 Later on I found this heavily pillaged trash on Marquette near Beaubien. Much of it was old and I wonder what I missed out on. I saw a couple of funeral pamphlets for an older man and I assume this pile is the result of his children cleaning house. Though someone had already looked through it and made a big mess I did find a few things. 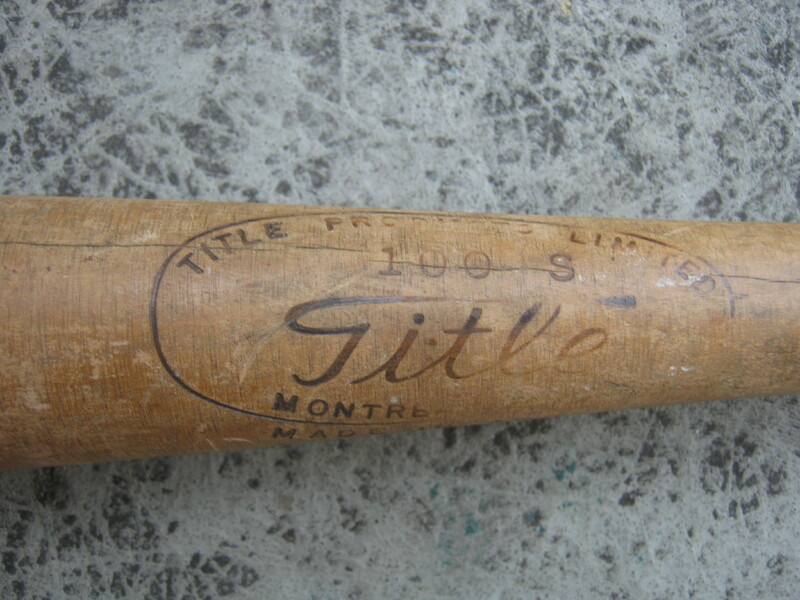 I found this old softball bat made by a “Title Products Ltd” out of Montreal. 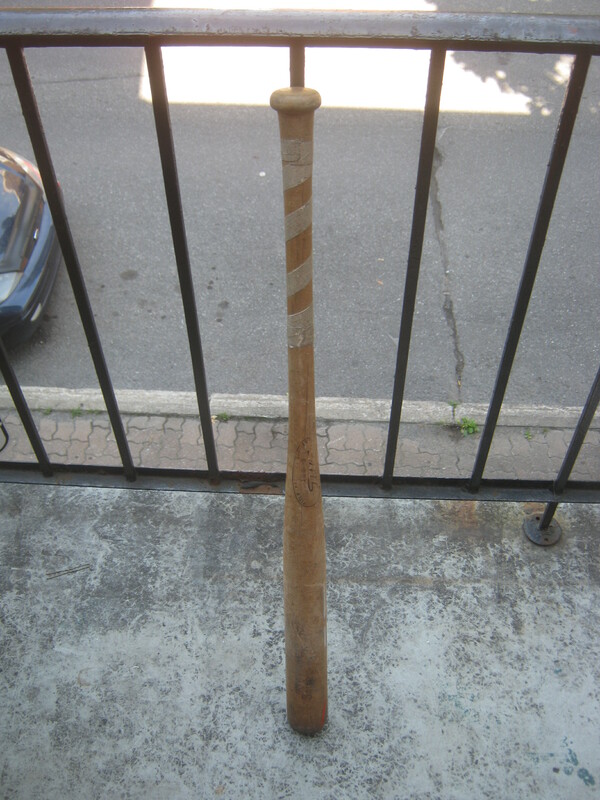 It’s a fairly heavy bat, probably made of maple as many are and is in pretty good shape. I play softball sometimes so maybe I’ll give ‘er a whirl at some point down the line. 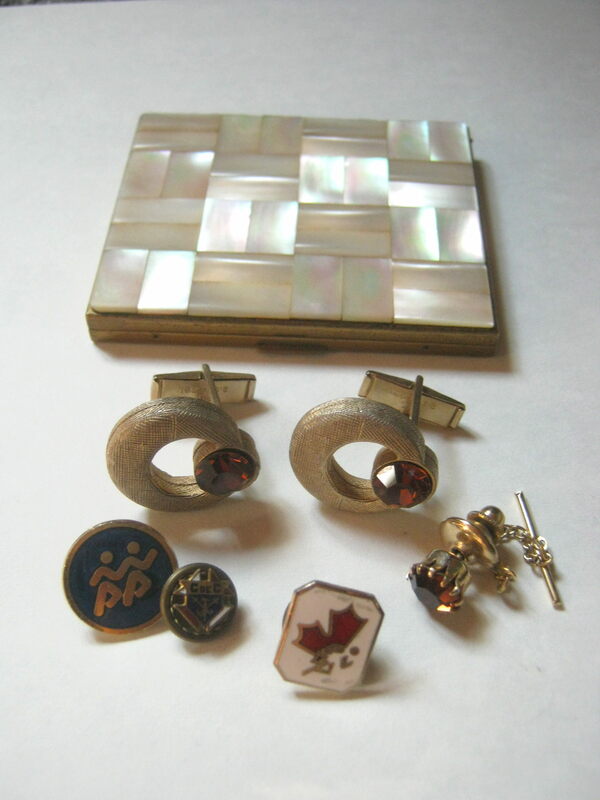 There was a little jewelry box which contained a pair of great old cufflinks, one unmatched cufflink, and a couple of pins (including one for les Chevaliers de Colomb, known in English as the Knights of Columbus, a Catholic charity organization. In the back is a nice little make-up box. 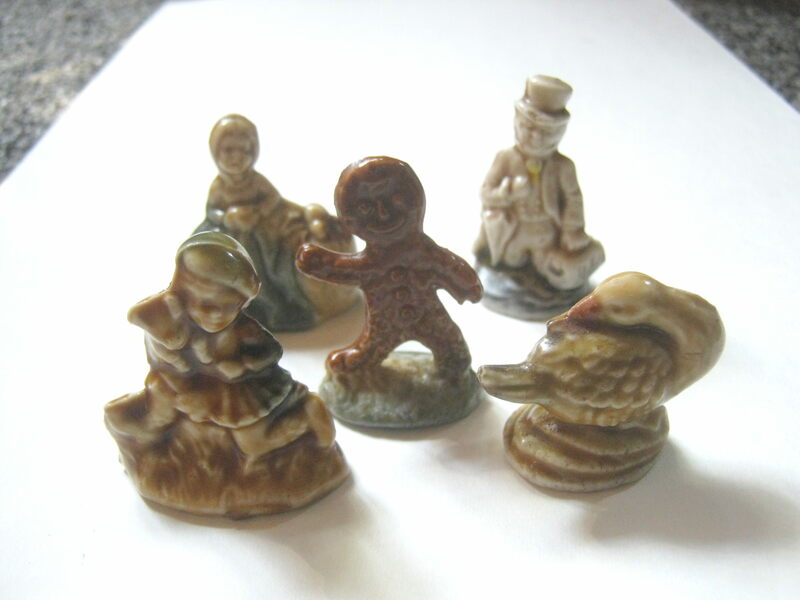 I saved a small collection of these figurines which were part of a Red Rose tea promotion from back in the day. These are collectible so I’ll likely combine them with a few others I have lying around and put them up on Ebay. This mug is pretty cool, the porcelain is very thin and the image is very glossy. I’ll think about using this one myself, but more likely I’ll put it in the yard sale. I also found a bit of ephemera. 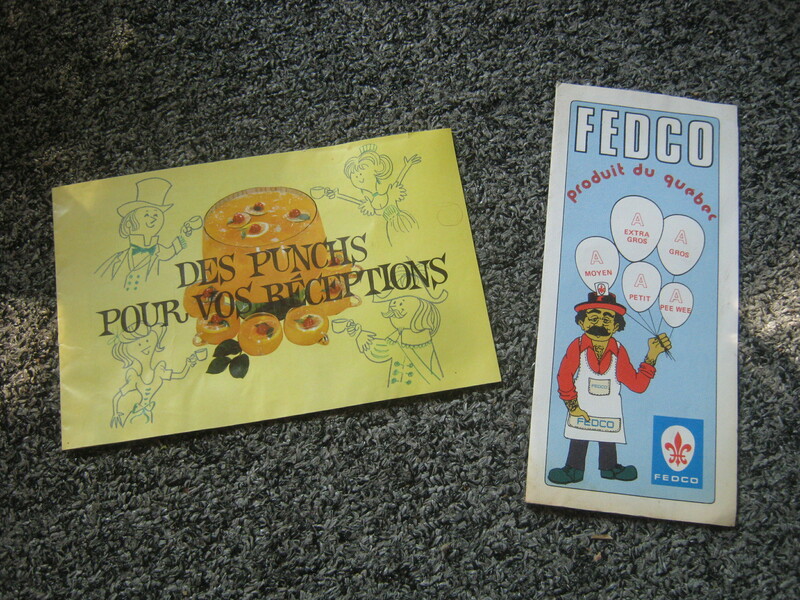 I took this recipe book for party punch (1962 and featuring ads for 7-up) and another recipe book put out by a Quebecois egg company. 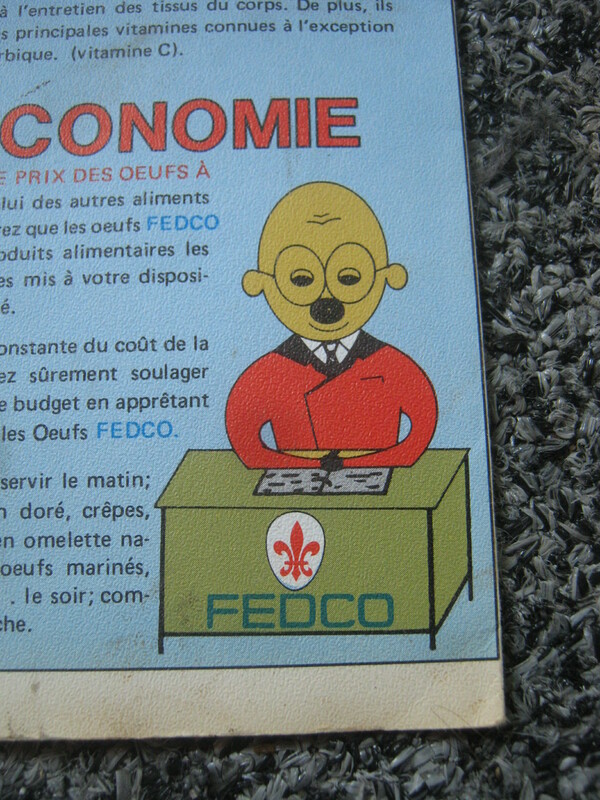 I quite like the weird egg-man they drew up. These are destined for the yard sale. 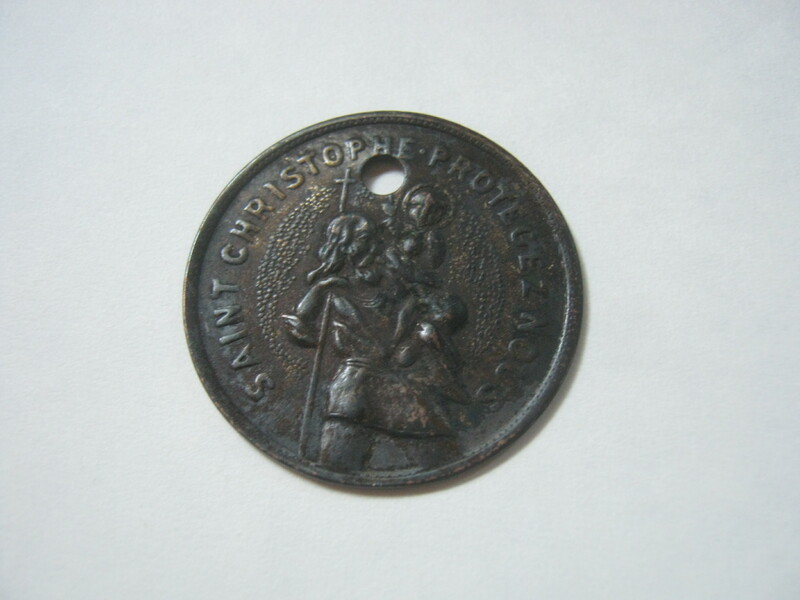 Last is this St Christophe (Christopher) medallion. It looks like it’s made of heavily patinated silver. 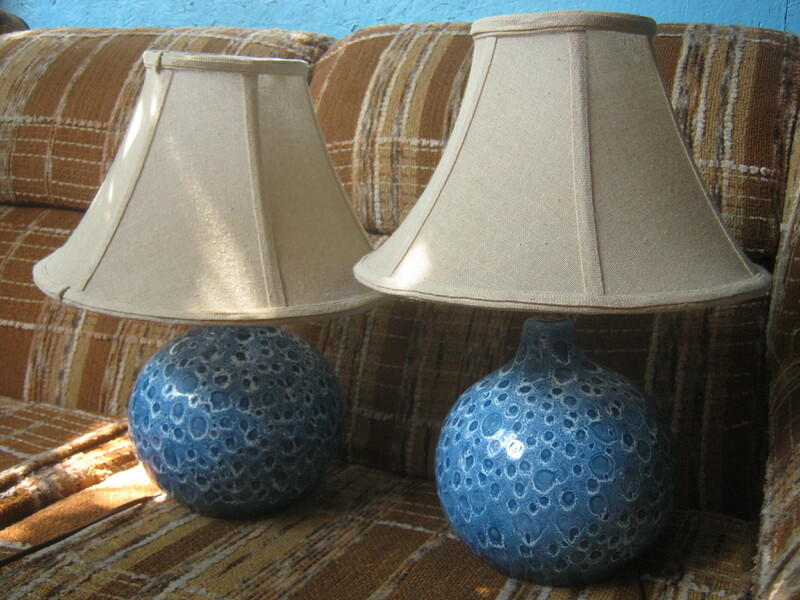 I just sold the lamps I found a couple of weeks ago for 60$. Thanks to montrealdigs.com for following me and featuring them on the blog! I suggest you take a look at this site if you live in Montreal and are in the market for some vintage furniture. Later on I’m going to explore the Thursday evening Rosemont route. It’s one of my favourites, I’ll let you know how it goes! I think what you’re doing is fascinating! That “nice little make-up box” looks to be a mother of pearl compact. I found one on this page that looks very similar (http://www.sheryls-artdeco.com/candc10.html), selling for £48. Here’s another, which is along the similar lines (http://www.etsy.com/ca/listing/75675908/vintage-compact-mother-of-pearl-compact?ref=exp_listing) selling for $64 CAD. That first one looks very similar to mine, as does the second. I think you might be onto something. Thanks for the info! Thanks Martin – glad the lamps sold, and even happier you saved them from getting thrown out in the first place! You are finding a lot of good stuff.Do you find good wigs in the trash in good condition?New wigs are often quite expensive so a number of people would buy used wigs from you at a reasonable rate.If you find wigs or have found wigs,please write on them.A lot of poor cancer patients who have lost all their hair from chemotherapy also appreciate wig donations.You do put a smile on people’s face,and can continue to do so. You are finding more good stuff in Rosemont than in the Plateau.Continue. Is there a mark on the bottom of that cup sans saucer? I am curious if your roommates check out the trash on their own in different areas from time to time. Concerning the Tea Rose collectibles… I have the full set (long story, my Gram drank a lot of tea and collected a lot of randoms, and I can’t bear to let them go), so it caught my eye when I was in an antique store in Laval’s Ste-Rose area a few months back. They had a bunch of them for sale, some of them were going for 2$, some of them were going for 30$+ each. Too bad what you do is considered ‘fairly extreme’. I can’t tell you how cool I think it is. Making money from what people throw away. saving the environment and making money at the same time. I’m glad you appreciate it. I think it’s mostly extreme because of the commitment it takes – by doing this I don’t have a “real job” and ultimately make less money as a result. Still, I can’t see myself doing anything else right now. It’s a skill that I’ve learned over time, but it’s also an opportunity few people ever want to take. how fabulous that you are taking that opportunity before you are enveloped by golden handcuffs. I envy you! Don’t let anyone persuade you to join the ‘real world’. do you know of Ken Ilgunas, who got thru Duke grad school debt free by living in a van? he is in his late 20s, and still living a frugal life and having adventures and blogging. The sad thing is, on his blog, there are people who say ‘join the real world, get a job and a house’. not everyone has to follow the same path. I hope you follow your unique path as long as YOU want to. It is scary to live differently than others. But where would we ever be if someone didn’t decide to do things differently than prescribed by society? I hadn’t heard of him. He has an interesting story. It’s definitely very hard to resist the desires of society, family and so on. As for me I can’t say what I’m going to do the rest of my life, but right now I’m doing what I want and I can’t see myself doing anything else. We’ll see how it goes! Thanks for the encouraging words. I think what you are doing is becoming more and more common. And, say fifty years ago, it was very common. And, say seventy/hundred years ago, it was mandatory. It came from an ethic of waste not want not. And if someone did waste by throwing out “things”, it was not only “acceptable” to pick it up use it/pass it on………………it was pretty much expected/mandatory. I think one of the reasons which folks throw out items, is they are not comfortable with garage selling it. Also, they don’t know anyone who will take/use it. And, often charities are shockingly “particular” about what they will accept. At my bottle return depot, they have a set of shelves inside the door, and ANYONE can/does take or leave anything they like off/on the shelves. I have put a few things there. Your comment on the relative rarity of the ginger-bread man made me look him up individually. Apparently he is one of the rarer ones of the series and is worth from 26-40$ depending on the source. I had looked them up previously but as a “lot” which was a mistake on my part as I assume they would all be roughly of equal value. Thanks for the tip! 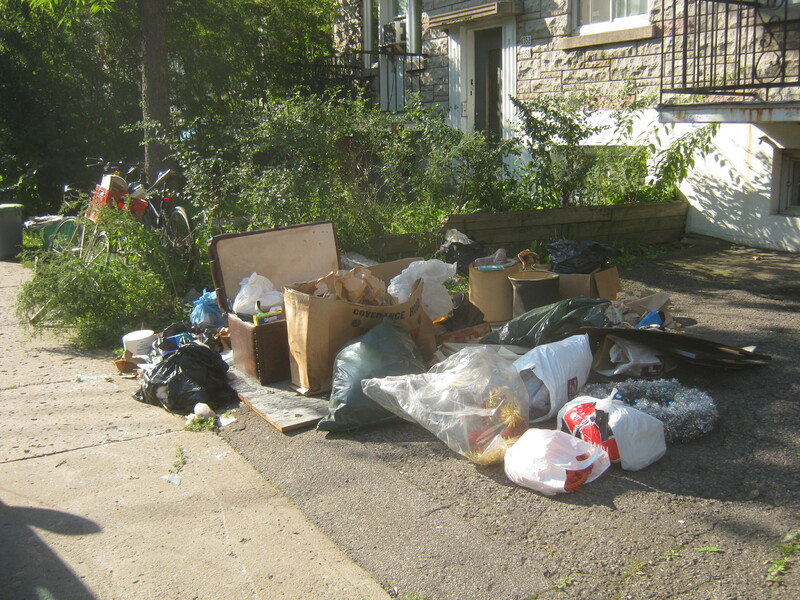 I live in Laval.I work as a contractor 90% of the time in either Laval,Montreal North,Ahuntsic-Cartierville,Ville St.Laurent or Riviere Des Prairies.Too bad you or your friends do not explore the trash here.I randomly find and rescue good knick-knacks,scrap wood and furniture sometimes.But that is not enough.Make it out to the boroughs before it gets too cold.Fall is only one month away. 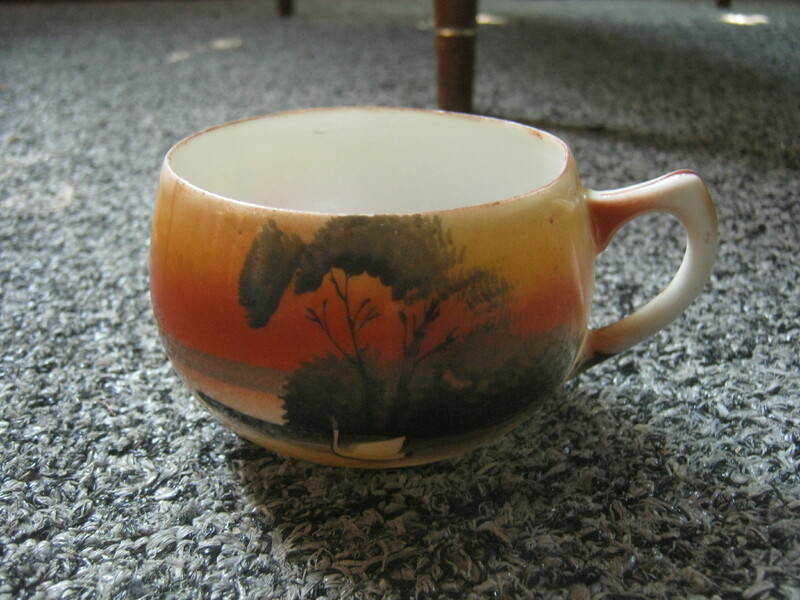 that cup…wonder if it was made in Japan, sort of looks like a little one I had long ago (mine was stamped on bottom “made in occupied Japan”. Mine was fairly thin. re the cufflinks and tiepin, wonder if they might be brown topaz? sort of looks like. You are my favorite blogger! I love your work! Red Rose still puts out the little figurines, but now you have to order them – they’re no longer included in the package along with the tea.